In December, 2017 a new federal tax bill was enacted. Such legislation has a profound effect on relatively high tax states such as New York. This has resulted in a lawsuit filed by the State of New York as well as other regional high tax jurisdictions. Previously, there was no limitation on deducting real estate taxes and mortgage interest paid. With the new tax legislation, state and local tax (“SALT”) deductions are limited to $10,000. Real estate taxes due for properties owned by clients represented by this firm typically exceed this $10,000 limitation. As such, panic sweep homeowners before the end of 2017. These people tried to pay their property taxes for 2018 while it was still 2017, so that they could deduct as much as possible. This post will address if this strategy was effective and discuss the means by which real estate taxes are paid in New York. Apparently paying taxes in advance may not be effective for the following reasons. Let’s assume that the property taxes on a home in Scarsdale are $24,000 in 2017. The homeowner wanted to pay an extra $25,000 in 2017 to cover anticipated 2018 taxes. Such a strategy is ineffective because taxes are levied as a result of a budget and warrant resulting in a tax bill to the homeowner. If the taxing authority has not completed this process, paying an estimated amount would not allow such payment to be deducted. Further, many homeowners with mortgages have a tax escrow associated with their mortgage. This means that every payment will include mortgage interest and principal, as well as an amount determined by the lender that is sufficient for the lender to pay real estate taxes on behalf of the homeowner once they are due. 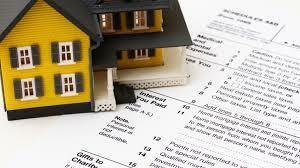 The lender sends an annual statement to the homeowner and the IRS stating the taxes paid on the account. If the homeowner pays taxes on her own, it will not match the amounts reported to the IRS, potentially subjecting her to a tax audit. Thus, any homeowner who has her taxes escrowed should not pay real estate taxes on her own outside of her ordinary loan payment. Real estate taxes are handled in multiple ways during the closing process. First, the buyer and the seller adjust at closing as to whether real estate taxes have been paid up to the closing date and beyond the closing date. Second, for escrowed loans, the lender will set aside sufficient reserves to pay taxes once they are due. Lastly, any taxes due within sixty days of closing are paid by the buyer because the lender’s escrow account will not have sufficient reserves to pay such tax within such timeframe. We will continue to keep our readers advised of legislation affecting our clients.